The estate of Michael Jackson has sent a cease and desist letter in which they order the disgraced doctor to stop talking to media about the late King of Pop's medical details. 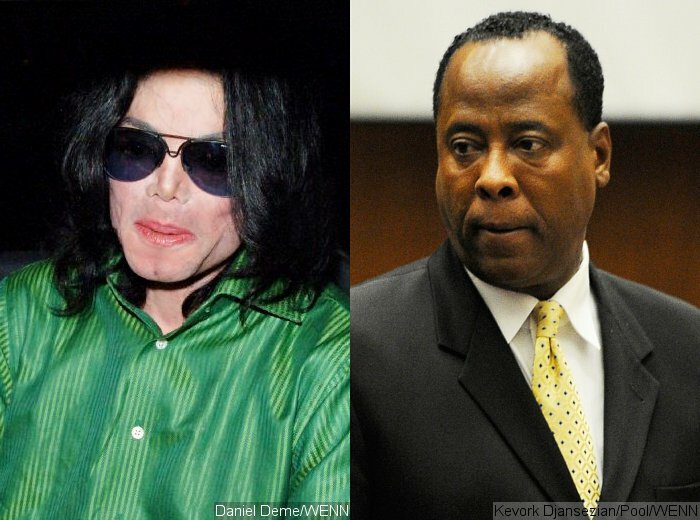 Michael Jackson's estate wants Conrad Murray to stop talking about the late singer, especially to media. Jackson's family has sent a cease and desist letter in which they want him not to discuss details of medical treatment received by the singer or he will face a legal battle. Estate lawyer Howard Weitzman says in the letter dated November 26, obtained by New York Daily News, that Murray was Jackson's doctor. Therefore, details about his treatment are presumed confidential even if the patient passed away. He also calls the disgraced doctor "shameless" after Murray said in his interview with the Daily Mail that he placed a catheter into Michael every night. "It is beyond ironic and cowardly that after electing not to testify before the jury that convicted you, you are not trying to publicly defend your conduct by sharing supposed conversations you had with Michael Jackson and alleged details about Mr. Jackson's medical condition and treatment," the letter reads. "If you continue to violate the oath you took when you were a physician and persist in revealing privileged information (much of which appears fabricated) about Michael Jackson, the Estate will take all necessary and permissible legal action," the lawyer continues. The family also threatens Murray with a lawsuit which prevents him from releasing a memoir and stops his attempt to regain medical license.